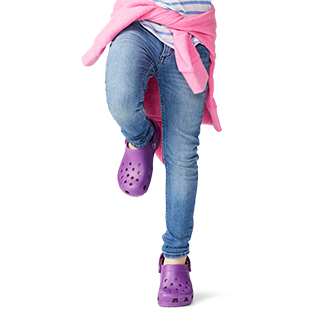 Find style with all the comfort with Crocs™ canvas shoes. This material is just as versatile as you are. Wear these shoes day to night, to everything from casual days in the office and adventures around town. We’ve got something for everyone, whether it is canvas flats or wedges for her, or canvas slip-ons or flip-flops for him. This sturdy yet comfortable canvas material will keep up with you no matter where your day takes you! Looking for another type of material for your next pair? Use our handy guide to shop by material and browse all the different types! I would buy these again and I have! I love these shoes! 2nd pair I've bought! Super cas and are great with jeans! Very comfy. 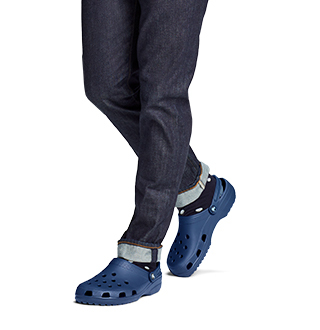 Great fit, easy on and off. 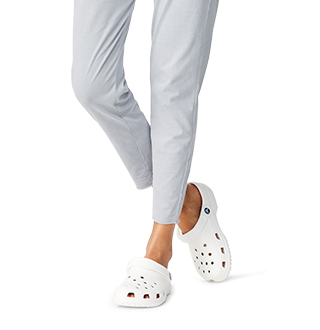 Best croc I have purchased. 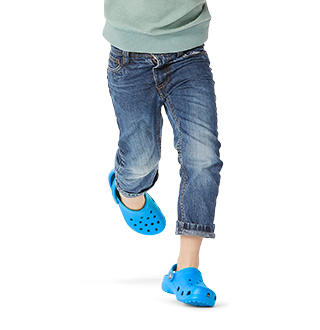 Size fits more accurately than regular crocs. Use it at work. Looks dressy !